Did you know that fewer than one out of every four applications for Social Security disability payments initially gets approved? Even though a few more are awarded upon appeal, more than 60 percent of applications get denied overall. *You earn too much money. Some SSDI applications are denied for non-medical reasons before a medical decision is ever rendered. A common non-medical reason is too much income. The income limits for receiving SSDI in 2017 are $1,170 per month, or $1,950 per month if you’re blind. *Not enough work credits. Unlike the Supplemental Security Income (SSI) program that awards payments based on financial need regardless of work history, SSDI only pays out if you have worked long enough in jobs that pay into the Social Security system. The number of work credits needed to become eligible depends on your age. *Your disability doesn’t qualify. Your disability must cause you severe limitations and be expected to last more than a year to get payments. If you can still perform some kind of work – even if it’s not the type of work you used to do – you won’t get approved for SSDI. *Failure to cooperate. This is the term Social Security uses if you don’t show up for appointments or don’t provide required medical documentation. Even if you have a severe disability, insufficient medical evidence is grounds for rejection. Thorough documentation of your diagnosis, doctor appointments and treatments is essential. *Failure to follow prescribed treatment. Even if you have all the records of medical treatment for your disability, your application will get rejected if you’re not following your doctor’s orders. *Drug and alcohol addiction. If your disability stems from addiction to alcohol or drugs, or your condition is made worse by alcohol or drugs, then your application could get denied. Once your application gets rejected, it’s a red flag in the system that makes it harder to get approved if you apply again. That’s why it’s important to get expert advice the first time around. 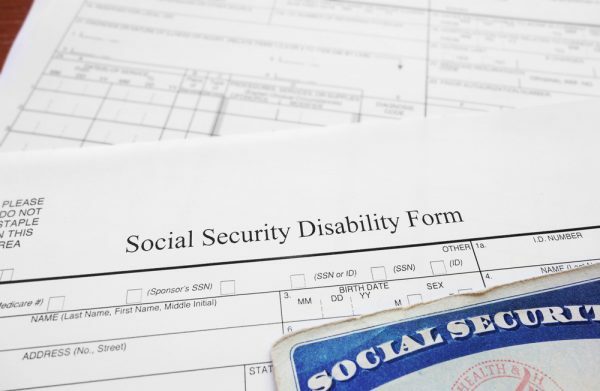 If you already have been denied, contact a Social Security disability attorney to begin an appeals process instead of filing a new application. You can set up a free consultation at Foley Law Offices, PLLC, by calling our office at 734-462-7500. We’re successful in more than 80 percent of our Social Security cases, and we don’t get paid unless you get an SSDI award.